NEW HOMESITES AVAILABLE NOW IN VINTAGE OAKS! LOCATION: Socialville- Foster Rd. and Duke Blvd. DIRECTIONS: From I-71 to north on Mason Montgomery Rd. Turn right on Socialville-Foster Rd. and then right on Duke Blvd. to community. 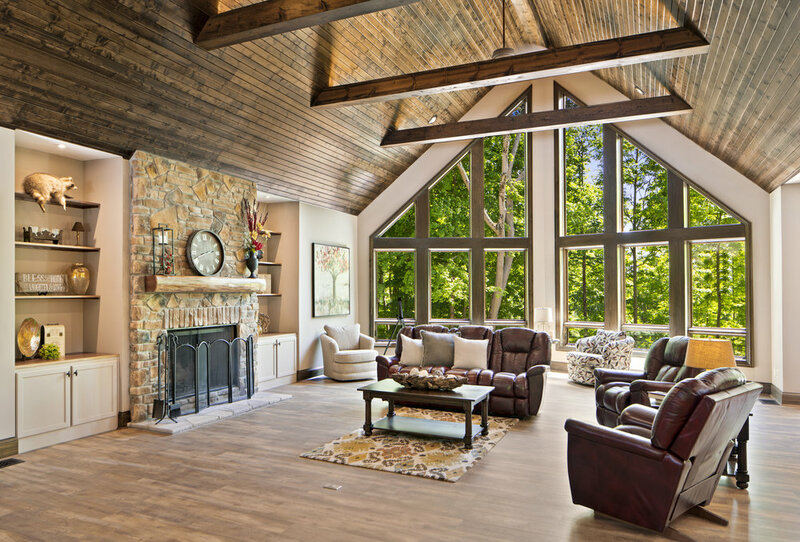 Homes by Gerbus is one of Greater Cincinnati’s leading custom home builders. Their outstanding reputation and flexibility gives their customer’s the choice of building on their land or in one of Homes by Gerbus’ outstanding neighborhoods. Today as in years past they remain committed to building the perfect home for you! Since 1960, the Gerbus Family has been constructing custom homes and helping families to attain their dream home. Throughout their 58 plus years in business, the primary lesson learned is that each customer is important as is each home. Guiding the customer through the homebuilding process and making it a special experience is what it’s about at Homes by Gerbus. Choose your homesite and the Homes by Gerbus team tailors a home design to fit your needs. You can provide the floorplan, or we can provide a design based on your needs and dreams. Once “your” architectural drawings are complete you will find that quality name brand products are used to construct your home and they provide the industry’s best warranties, which will give you peace of mind as you move into your new home and the next chapter of your life. Once construction begins you become part of the Homes by Gerbus family. Our goal is to provide the best Customer Service throughout your building cycle. Each employee you meet at Homes by Gerbus has been trained in their area of expertise as well as knowing how important the customer is. You will find this carries over to our long-term building trade partners. In addition, each home is backed by a One (1) year fit and finish warranty. FIVE STAR ENERGY RATING – Homes by Gerbus consistently performs at a very high level in qualifying their homes for the “FIVE START +” HERS Index Rating (Home Energy Rating System Index) as measured by an independent Energy Analysis Rater. Building officials, independent inspectors, tradesmen, and customers all comment on the quality you feel as you walk through a home built by Homes by Gerbus. Homes by Gerbus is pleased and proud to say that two thirds of the homes they build come from referrals of past customers, trade partners, and in many cases building officials. You are invited to become a part of the Homes by Gerbus family and allow them to work with you to make tomorrows memories. Communication between the builder and customer is the key to making the home building experience a positive and enjoyable one for all involved. This has always been the foundation of Homes By Gerbus.